Material type: BookPublisher: New York : Minotaur Books, 2016Copyright date: �2016Edition: First edition.Description: 274 pages ; 25 cm.Content type: text Media type: unmediated Carrier type: volumeISBN: 9781250055316; 1250055318.Subject(s): Police -- New Jersey -- Fiction | Murder -- Investigation -- Fiction | Amnesia -- Fiction | FICTION / Thrillers | FICTION / Mystery & Detective / General | Amnesia | Murder -- Investigation | Police | New JerseyGenre/Form: Detective and mystery fiction. | Thrillers (Fiction) | Fiction.Additional physical formats: Online version:: BlackoutDDC classification: 813/.6 Other classification: FIC031000 | FIC022000 Online resources: Cover image Summary: "DAVID ROSENFELT is the Edgar and Shamus Award-nominated author of six stand-alones and twelve previous Andy Carpenter novels, most recently Hounded. After years living in California, he and his wife recently moved to Maine with the twenty-five golden retrievers that they've rescued. Rosenfelt's hilarious account of this cross-country move, Dogtripping, is available from St. Martin's Press"-- Provided by publisher.Summary: "New Jersey state police officer Doug Brock has been after infamous criminal Nicholas Bennett for years. When Bennett kills someone close to Doug, however, Doug's investigation--and his life--start spiraling out of control. He's placed on indefinite suspension from the police force and breaks things off with his fiance�e but he can't let the case go, and he continues an off-the-books investigation on his own. When Doug's former partner on the force, Nate Alvarez, receives a call from Doug saying he's discovered something big, something terrifying, something they need to call in the FBI to handle, Nate is furious that Doug has still been working the case. But when the call ends abruptly, and shortly afterward Doug is found in a hotel room, shot and in critical condition, Nate's anger turns to fear. When Doug finally awakens from his coma, however, he has no memory of the case, or even the last several years of his life. But the pull of what he might have discovered is too strong, and he finds himself immersed in a desperate search for truth once again, regardless of the danger. Once again Rosenfelt has written a propulsive and compelling thriller that will rivet readers from the first page to the last"-- Provided by publisher. "DAVID ROSENFELT is the Edgar and Shamus Award-nominated author of six stand-alones and twelve previous Andy Carpenter novels, most recently Hounded. After years living in California, he and his wife recently moved to Maine with the twenty-five golden retrievers that they've rescued. Rosenfelt's hilarious account of this cross-country move, Dogtripping, is available from St. Martin's Press"-- Provided by publisher. "New Jersey state police officer Doug Brock has been after infamous criminal Nicholas Bennett for years. When Bennett kills someone close to Doug, however, Doug's investigation--and his life--start spiraling out of control. He's placed on indefinite suspension from the police force and breaks things off with his fiance�e but he can't let the case go, and he continues an off-the-books investigation on his own. When Doug's former partner on the force, Nate Alvarez, receives a call from Doug saying he's discovered something big, something terrifying, something they need to call in the FBI to handle, Nate is furious that Doug has still been working the case. But when the call ends abruptly, and shortly afterward Doug is found in a hotel room, shot and in critical condition, Nate's anger turns to fear. When Doug finally awakens from his coma, however, he has no memory of the case, or even the last several years of his life. But the pull of what he might have discovered is too strong, and he finds himself immersed in a desperate search for truth once again, regardless of the danger. 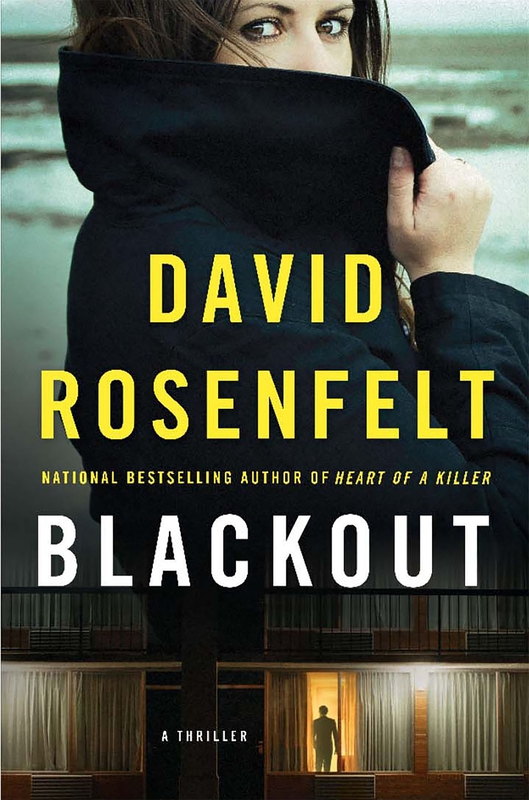 Once again Rosenfelt has written a propulsive and compelling thriller that will rivet readers from the first page to the last"-- Provided by publisher.